Alexander McQueen's AW17 once again brought us something unique and beautiful. Each piece is different, but somehow all come together to create one perfectly crafted story. The collection was inspired by the late Oscar Wilde and his journey from London to Paris in the late 1800s - the collection echoes the past while still being able to conform to the present. 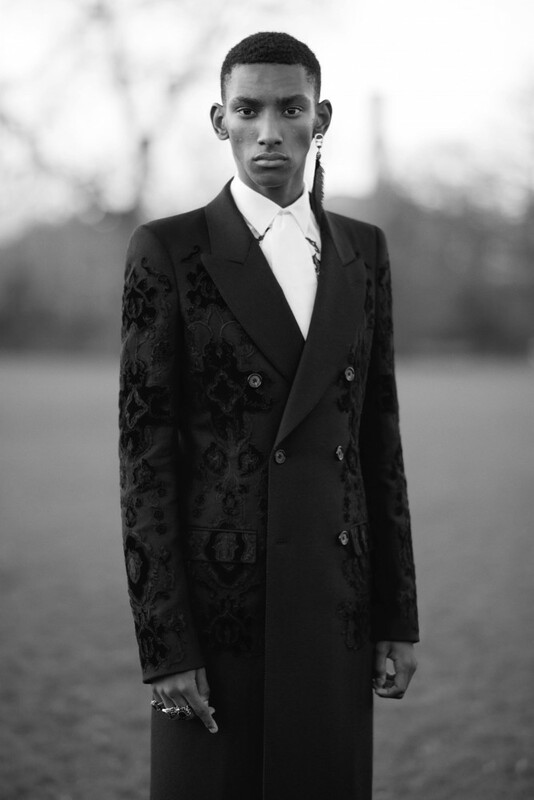 Tailoring is typical of the "London gent" as seen with the "jackets and coats in wool serge with velvet appliqués, a 3-piece flannel suit in charcoal and exaggerated overcoats in or trimmed with shearling." 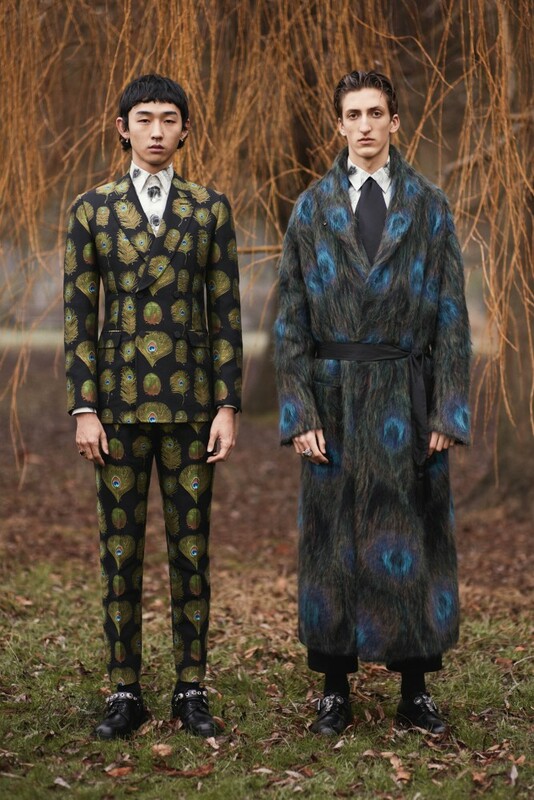 The pieces become fancier as we get towards the second half of the collection to mimic Wilde's venture into the city of Paris - paisley print silk robes, an overcoat inspired by antique rugs and gemstone rings. The detail that stands out the most is the incorporation of the peacock, the symbol of royalty. The peacock also symbolizes immortality, and hundreds of years ago many believed that the animal had flesh that would never decay after death. Much like that superstition, the beauty and elegance of this collection will stand out amongst others for years to come. See the preview of the collection below, and the video HERE.